Protects against pressure sores. 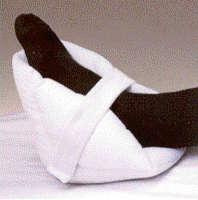 Filled with fluffy spun fiber; covered with low-friction brushed polyester fabric to reduce skin shear; Velcro closure. Reusable and launderable.